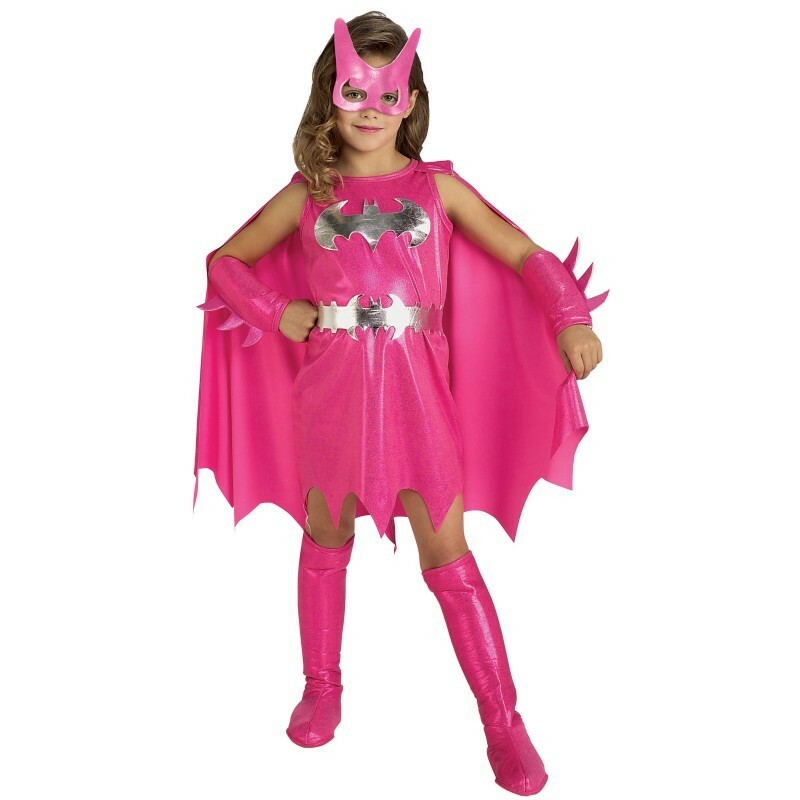 The Pink Batgirl Costume For Girls is a licensed replica. 1. A knee length pink sleeveless dress with bat wing hem and silver colour batgirl logo on chest. 2. An attached bad wing shaped pink cape, silver batgirl belt,pink gauntlets, boot covers and pink eye mask.